Salins are amongst 40 on the peninsula; the Place des Lices where movie stars and local stars get together to play a game of boules or sip Pastis under the plane trees; and of course, the leather Tropéziennes sandals that everyone seems to wear! 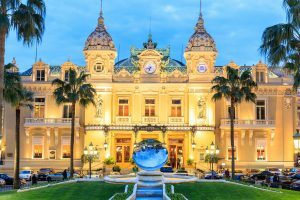 its glitz, beautiful people and bounty of nightlife. Overnight. Day 2: After breakfast cruise to Antibes. 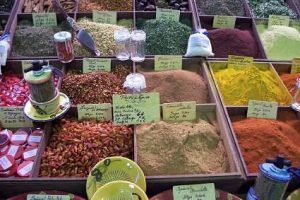 Old Town Antibes has a famous open-air market every morning filled with Provence delicacies,especially items made from local lavender. This is also the location of a very nice Picasso Museum housed in one of the original Grimaldi Family Palaces. 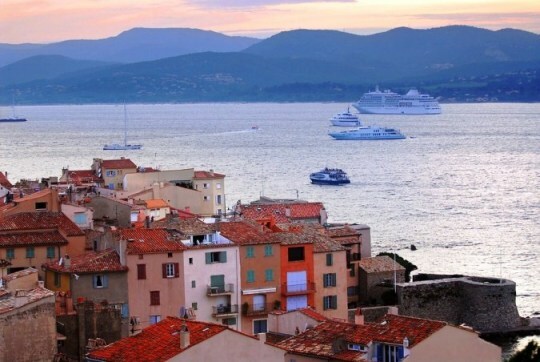 After exploring Antibes, head to glamorous Cap d’Antibes. 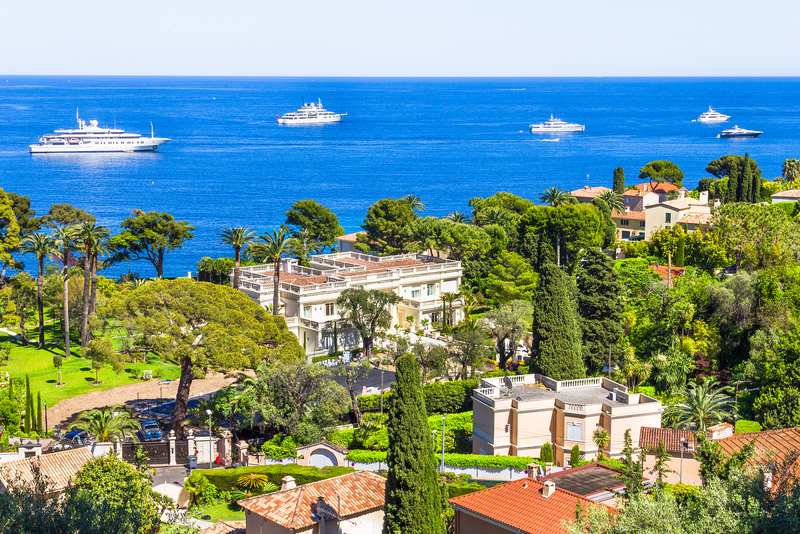 Cap d’Antibes has become known as the epitome of luxury on the Riviera, home to the rich and famous. have stayed here in this security-conscious Shangri. restaurant atop the mountain which affords an extraordinary view of the ocean and surrounding countryside. This is a great location for a drink. After hike up to the Eze Gardens for a fabulous view of the Cote d’Azur before returning to the yacht. Overnight. peninsula, taking in spectacular, symmetrical views of the coastline. explore the village of Cap Ferrat. Overnight on anchor. 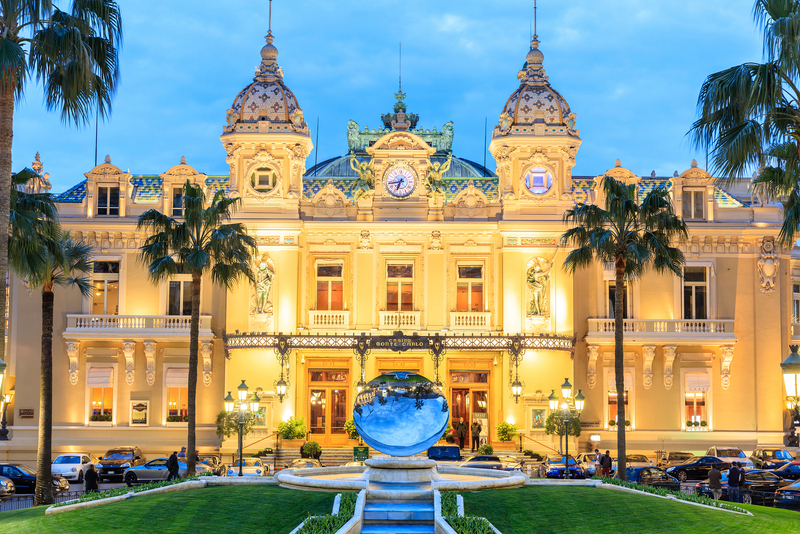 after dinner on board or ashore visit the Monte Carlo Casino to try your luck. After returning on board, the crew will make way for an overnight crossing to Portofino. Day 5: Wake up anchored near Portofino or stern to along the quay, if there is space available. This is a posh little village. Your crew will need time to regroup after an overnight, so head ashore after breakfast to explore and go shopping. 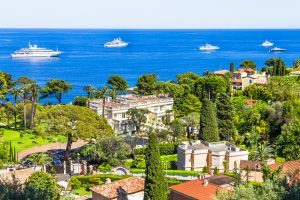 Have lunch ashore at the Restaurant Pluny or perhaps up the hill overlooking Portofino at Chuflay Restaurant at the Belmond Splendido Mare Hotel. 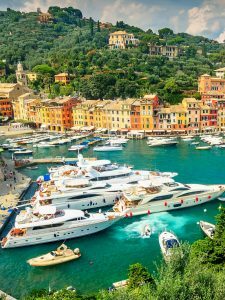 Often called the “Pearl of the Riviera” Portofino has long been fashionable with what was once called ‘the jet set’. 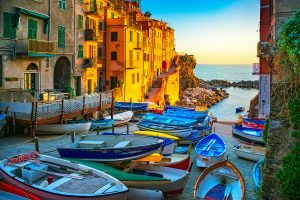 Originally a billet for Genoa’s merchant seamen, by the turn of the twentieth century it was a quiet, though very beautiful, fishing village. 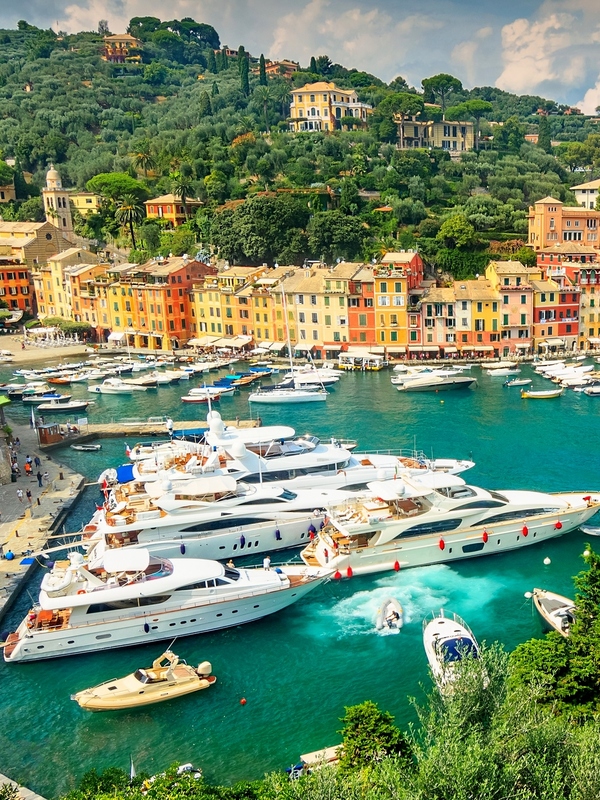 To add to its mystique, Portofino has a history buried in myth. Pliny the Elder claimed the Romans founded the town, naming it Portus Delphini, or Port of Dolphins, because of the large number that frolicked in the Tigullian Gulf. resistance is the view from the top of the castle. head back into Portofino, and enjoy the quiet but very chic nightlife. 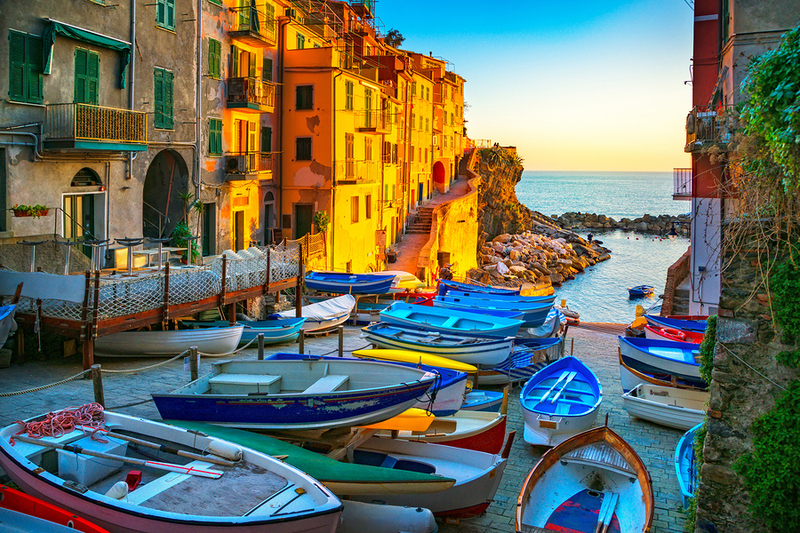 Day 6: Cruise to the Cinque Terre, now a UNESCO World Heritage Site including nearby Porto Venere. 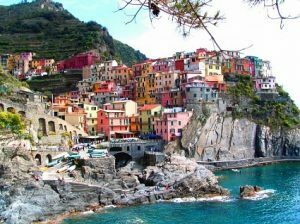 This delightful “Land of Five Villages” is best seen by sea, with the beautiful rustic little villages each perched on the end of a promontory with a tiny little harbor. Each of the Cinqueterre towns has something different to offer. 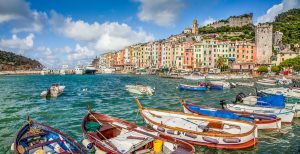 of St. Peter stands, hence the name of the village, Porto Venere has always been prized as a lovely location in which to live. Today visit the Church of St. Peter, the Church of St. Lawrence and the Doria Castle, whose walls now embrace the historic town center. Porto Venere always draws the artistic, due to the natural beauty of the area. 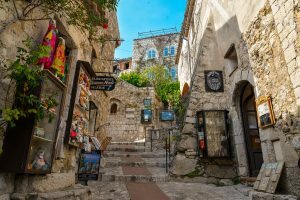 In the 1800’s, this village was a favorite of Lord Byron, who is said to have spent hours in a grotto just behind the Church of St. Peter. well protected and a great location for swimming and water sports. excellent location for lunch or dinner (reservations required).